One of the best Pakistani Politician and PTI President Javed Hashmi has said that corrupt Government is destroying Pakistan. 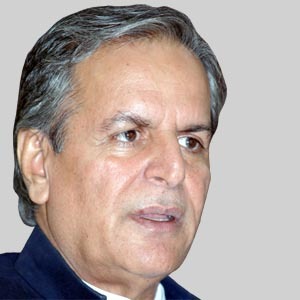 Javed Hashmi said that policies of present Government has created various types of crises in Pakistan. He said people today are hating Democracy and calling Martial Law period much better than today's Government. PTI Leader also called for end of Gas and Electricity Load Shedding and also demanded to reduce Petrol and diesel prices. While talking about common people Javed Hashmi said that life of common Pakistanis have became miserable due to corruption Government.